Removed my transfer box from my samurai, rebuilding the sj. 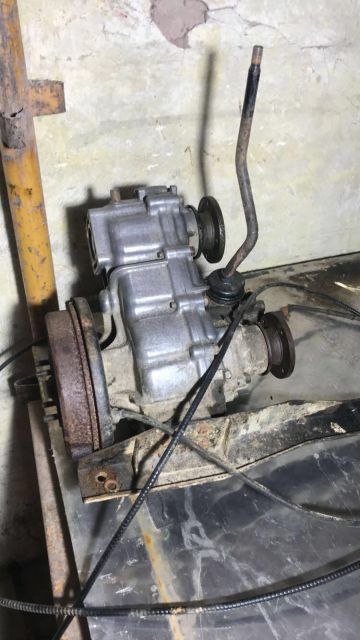 Can anyone help me identify the box if it’s a 410 or 413, seen that it has a drum brake so I was thinking it might be a 410 not sure tho. You can count the number of turns input shaft to output shaft, I can't remember what the ratios are but a google search will tell you. Thanks for the reply pal, I will look into that.